Here it is, your opportunity to own a restaurant that is profitable and yet still gets you home in time for dinner every night. Want to work through dinner? Even better, make even more money, this is the place for you too! Restaurant is currently only open for breakfast and lunch. This is a long established local favorite that simply put, is easy money! Yelp reviews are outstanding and seller pnl’s show huge profits! Read the outstanding online reviews or come in and see for yourself, this place is packed, the customers love it and big money is flowing to the bottom line. They are open for table service breakfast run by experienced staff members and then counter service lunch. Restaurant/Café closes at 4:00pm Mon-Saturday and 2:00 on Sunday. Sales are averaging 40k per month over the last four months. Jan 2016 pnl net income showed $9735 at the bottom line! Owner works a very light 33 hours per week. If you are hands on kind of operator you could easily save thousands in labor, and substantially increase the bottom line. Want to work more than part time? Simply open up for dinner and work a little longer. Close at 7:00 if you don’t want to be open too late. Huge opportunity for sales growth if you want it. Don't want longer hour? Simply keep doing the status quo, it’s already successful. How profitable do you want your restaurant to be? Restaurant is located on a high traffic street near residential, several schools and lots of retail. Starbucks, Sprouts and many other popular customer draws are your immediate neighbors. Restaurant has been recently remodeled. Inside there is a comfortable diner style feel and outside there is a nice covered patio with a café feel to it. Several TV’s add to lively atmosphere. 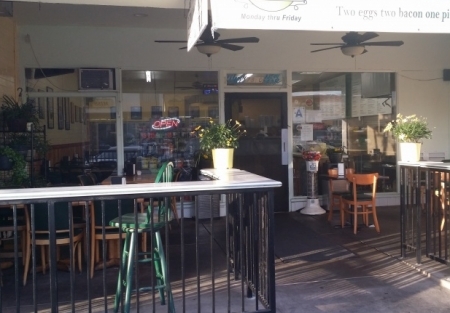 Restaurant space is approximately 1800 square feet. Total rent including NNN is only $3300 per month. With this rent you are under 10 as a percentage of gross sales, leaving lots of room for cash to flow to the bottom line. current lease expires in August 2016 with two five year options.Landlord is ready to do a brand new lease. Come see if this is the place you have been looking for. The location is great, the concept is perfect and the numbers are right! Please visit our website at SellingRestaurants.com to get name and location of this business.